After the controversy of 13 Reasons Why, I was a bit concerned about another Netflix Original dealing with mental disorders. Thankfully, this one got it right. 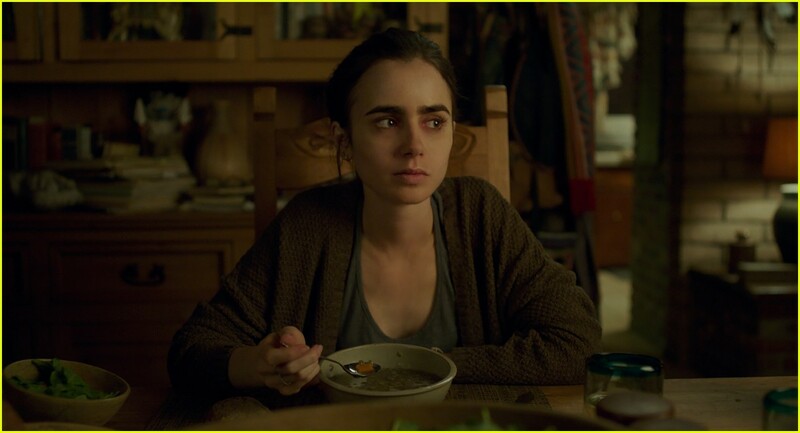 To the Bone is about 20-year-old Ellen (Lily Collins) who suffers from anorexia nervosa. After several failed treatments, she goes to a group home run by Dr. Beckham (played by Keanu Reeves) where she battles not just her illness but also herself in order to get on the right track to recovery. The film is written and directed by Marti Nixon, based off her own experiences and struggles with anorexia (which was discussed in an Indiewire article). The film’s portrayal of anorexia is by far its strongest aspect. It displays a variety of different behaviors and symptoms of anorexia, from the clearly stated like Ellen spitting out food and exercising off any calories she does intake, to subtle things like Ellen cutting up her food into small pieces, one of the patients being plus-sized, and the various references to depression (something that often goes along with anorexia). I highly recommend it to anyone not familiar with the disorder for the educational element alone. The film also doesn’t fall into the trap of unintentionally glorifying the disorder it portrays. It displays the physical, mental, and emotional turmoil anorexia has on both those who suffer from it and their loved ones. The film even outright calls the behaviors people with anorexia develop an addiction, which is true for many self-destructive behaviors in general. If I have one nitpick with the film’s portrayal of anorexia, it would be that they don’t go into how the patients there became anorexic. Perhaps it was to avoid the previously-mentioned glorifying of the disorder, or a way to not make the patients only characteristic about their disorder, but I feel we could have felt even more of a connection with the cast had the film gone into their backstories more. It’s a bit of a shame since not only would the side-characters have benefited from more development as, with the exception of the group home’s resident Manic-Pixie-Dream-Boy, Luke (Alex Sharp), they don’t get quite as much development as they deserve, but also Ellen herself. The first is, while she may be unlikable at times, that doesn’t mean she’s unrelatable. Feeling like you’ve tried everything and lashing out at everyone because they’re still trying to help when it everything seems to point to there being no help and they should be just left to their own devices is a very human thing. Anyone who’s ever dealt with a condition that’s had failure after failure to help it is going to connect with Ellen and her character-arc. This brings me to the second reason to have Ellen be the way she is: The film agrees with me that she’s completely self-destructive and needs help herself. To best describe Ellen, I will use the words of Matthew Patrick: She’s a koala; It means that she does a lot of things that are harmful to her and is very difficult to help, much like how koalas only eat in-nutritious eucalyptus leaves in their vicinity and rescue centers have to go a lot of trouble to help them. In essence, you don’t want to be a koala, and it’s the entire point of the film. Ellen is waiting for someone to save her, but the reality is she’s not going to get the help she needs if she keeps fighting it. Her arc is about accepting and actively getting herself on the road to recovery, which is something everyone has to learn at some point in their lives. To the Bone is a well-written, well-directed film that portrays a serious condition and tells a story of finding hope when there seems to be none, and is an excellent directorial debut for Marti Noxon.